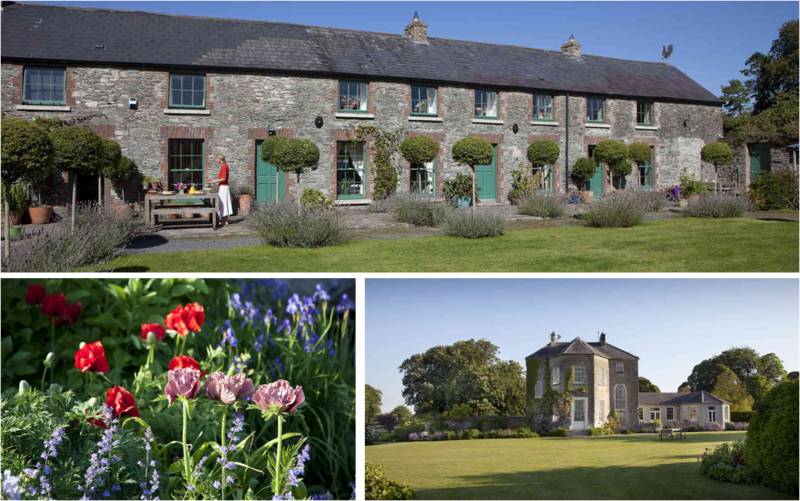 To find out more about Burtown House, simply visit their website or call, +353 59 8623148. Burtown House, an early Georgian villa, is surrounded by lush flower, vegetable and woodland gardens with beautiful park and farmland walks. It was built for the Quaker Robert Power in 1710; Burtown House is marked on early maps as Power’s Grove. The house contains some interesting features such as ornate plasterwork and a tall arch sash window. There is a walled kitchen garden which has been in operation for over 150 years. Much of the present flower, vegetable and woodland gardens were reclaimed from paddocks, fields and woodlands by the Fennell Family. The Nutgrove, once a formal garden in the 18th century, is perhaps the oldest part of the garden. Neighboring fields are also being devoted to arboretums, woodland walks and ponds. Burtown is still a working farm, with 180 acres of wheat, barley and forestry.